Uniquely sour and sweet and a sure sign of warm weather, rhubarb is a farmer’s market treat. Now that rhubarb season is in full effect, it’s the perfect time to stalk up (ha!) 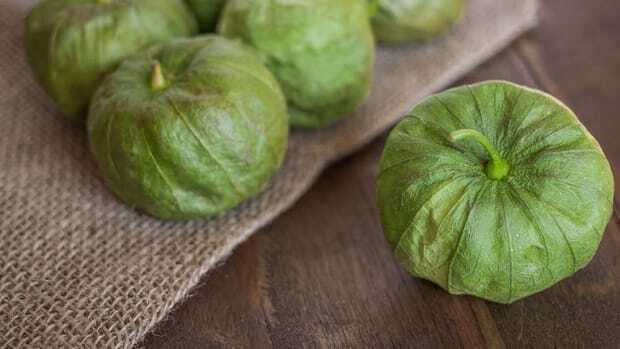 on this versatile and nutrient-rich vegetable. Although officially classified as a fruit by the USDA, rhubarb is actually a vegetable and resembles red-hued celery. With numerous health benefits, plenty of versatility in the kitchen, and a uniquely tart taste, rhubarb is totally rad and easy to love (and use) all season long. Rhubarb is a simple vegetable to grow in your own garden and produces thick pink stalks with dense and wide green leaves. Note: rhubarb’s green leaves are poisonous and can induce vomiting, stomach pain, and other scary symptoms if consumed. 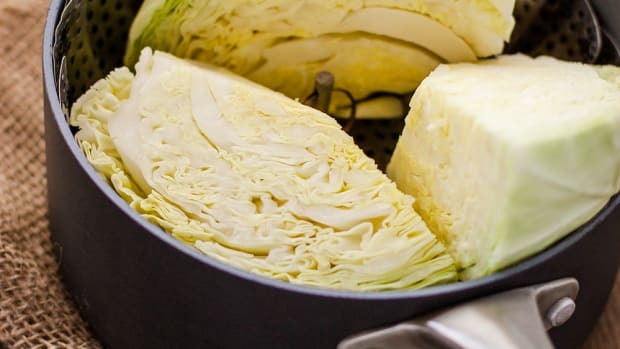 Always trim off the top inch of the stalk along with the leaves and discard or compost. Although it may not have as dazzling a résumé as berries or kale, rhubarb is still a nutrient-dense veggie, and an underrated one at that. Rhubarb is a very good source of vitamin K, a fat-soluble nutrient essential for normal blood clotting and maintaining healthy bone density. 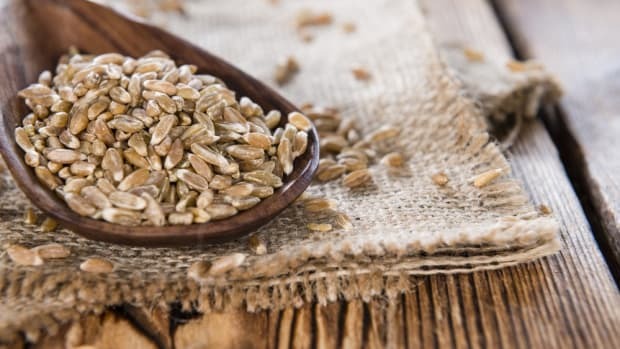 It also packs in plenty of fiber for digestive health and contains calcium, vitamin C, potassium, and folate as well. Another great reason to take advantage of rhubarb season is thanks to the vegetable’s high antioxidant content. In fact, a 2012 study even suggests that rhubarb boasts more polyphenol antioxidants than the reigning Vegetable Queen herself: Kale. These antioxidants, which give rhubarb its red color, include anthocyanins, plant compounds beneficial for human health, and found in other vibrantly hued fruits and vegetables such as strawberries, red cabbage, apples, and grapes. Research shows that consuming a diet rich in anthocyanins (and other polyphenol compounds) is protective against cancer, heart disease, and declining cognitive function. Consuming rhubarb in these sunny months has skin-loving benefits as well. A particular antioxidant extract in rhubarb, Rheum rhaponticum L. rhizome, has been shown to reduce the damaging effects of UV radiation from the sun, according to a 2013 study. 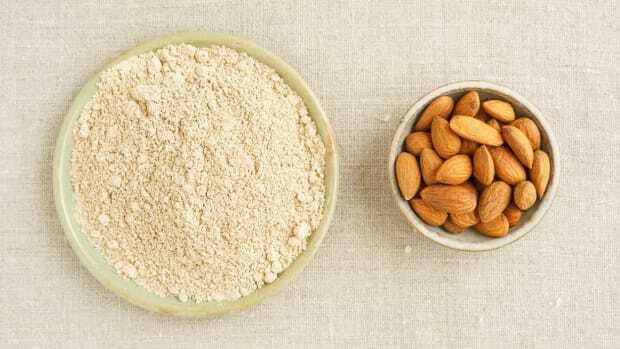 Researchers found that the antioxidant extract was able to prevent lipid peroxidation and promote free radical scavenging effects in skin cells subject to UV radiation. Consuming rhubarb has also been clinically shown to protect the blood-brain barrier after traumatic brain injury, according to a 2016 study. This may be due to rhubarb’s antioxidant content – another win for plant power. 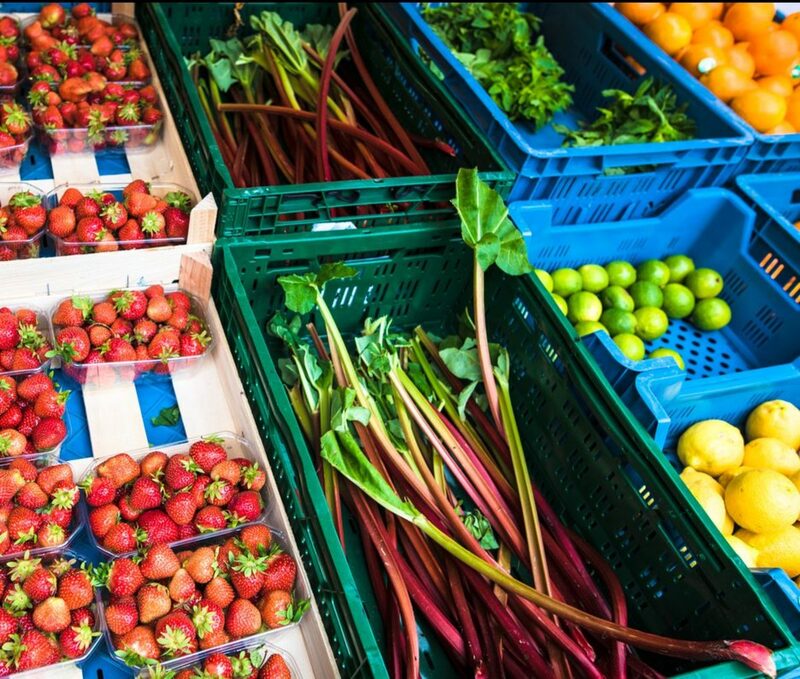 Fresh rhubarb is at its peak season from late spring to early summer and can be found in abundance at your local farmers market during that time. 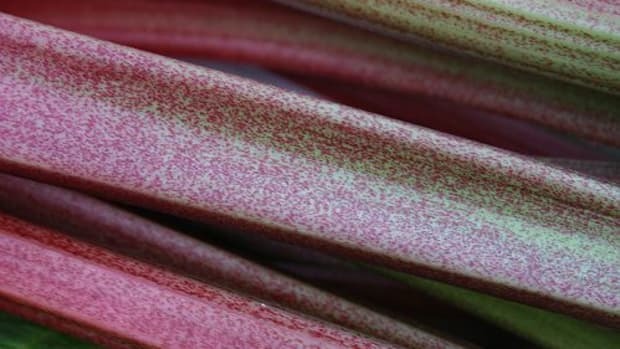 When buying rhubarb, choose healthy looking, snappable, bright stalks without any blemishes or cuts. Although stalks can range from pink to vibrantly red in color, the deeper red stalks tend to be slightly sweeter. Pick medium to thin stalks of rhubarb, which have the best texture and flavor. Like thick asparagus, thick stalks of rhubarb tend to get woody and bland. Look for bunches of rhubarb with the leaves attached, if possible, as this will ensure the freshest stalks – just make sure to toss the toxic leaves! 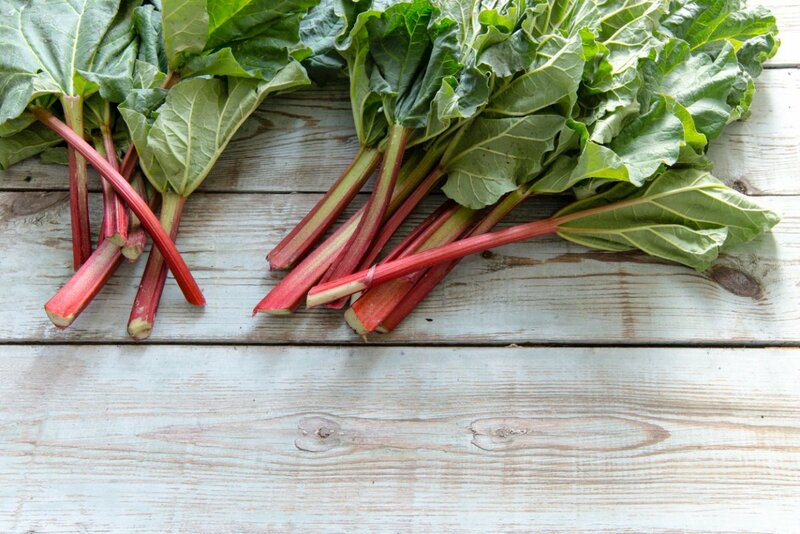 Store rhubarb in the refrigerator and use within three days, as rhubarb can wither and dry out quickly. Choose organic rhubarb if possible. Although the Environmental Working Group (EWG) does not rank rhubarb for pesticide exposure, it’s best to find a local and organic source of this vegetable when possible. Healthier soil and lack of pesticides and chemicals produces healthier and more nutrient-rich plants. This means you’ll get a hefty side of antioxidants with your organic rhubarb and strawberry crisp. 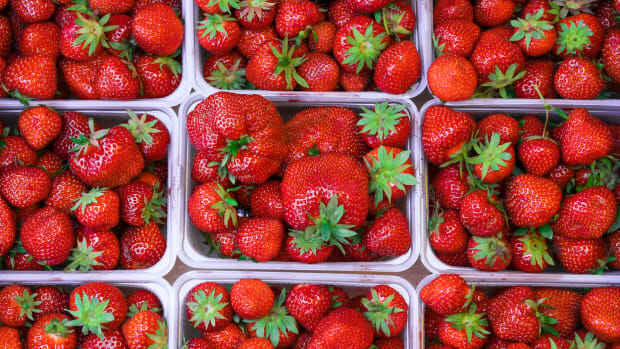 Unlike other seasonal spring delights (strawberries, snap peas!) that are delicious raw, rhubarb should be cooked and slightly sweetened to bring out its natural flavors and reduce sourness. Rhubarb can be baked, pickled, poached, or sautéed. Remove leaves, rinse stalks, and cut into chunks or sticks. 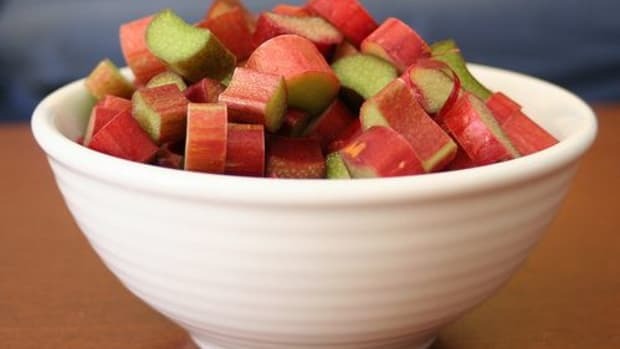 To bake rhubarb, simply sprinkle with coconut sugar or honey and bake for 15-20 minutes in a 350 degree Fahrenheit oven. Add baked rhubarb to smoothies (really! 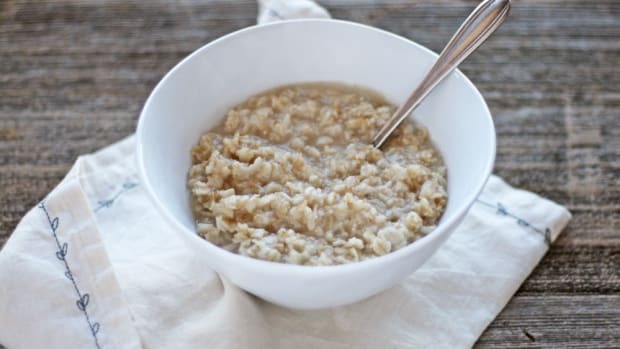 ), spoon on top of ice cream, or add to quinoa salads. Poach rhubarb by simmering the vegetable in shallow water for 8 minutes with a sweetener of choice. Rhubarb can also be sautéed over medium heat in coconut oil alongside peaches or strawberries and a sweetener of choice for 15-20 minutes to create a syrupy and thick sauce to pour over yogurt, ice cream, or oatmeal. Rhubarb is an obvious choice in pies (it’s also called the pie plant) and sweet desserts like crumbles and crisps. It pairs nicely with strawberries and ginger to produce delectable compotes, frozen yogurt, and seasonal tarts drizzled with chocolate. Rhubarb can even be paired with cooked proteins, mixed in with seasonal cocktails, added to marinades, and even made into a sweet and savory salad dressing. 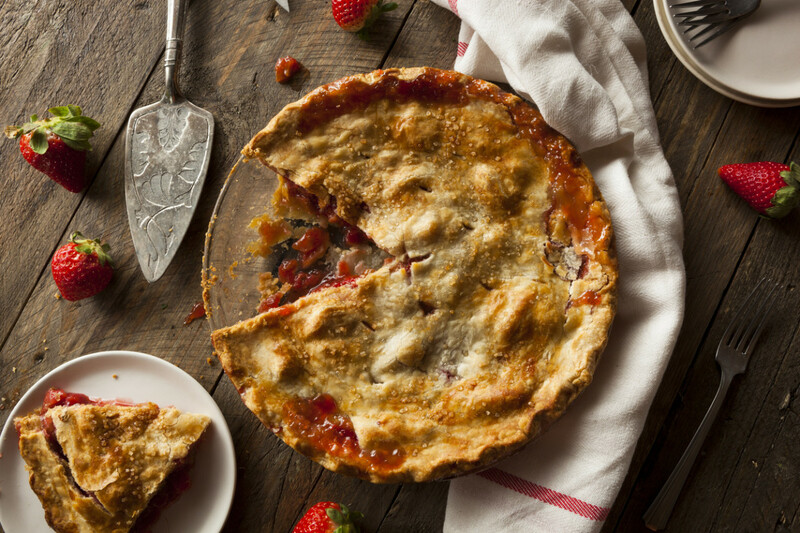 With so many uses and such a unique taste, rhubarb season and its bounty is worth savoring.